Property appraisals are a detailed financial analysis to determine exact market value at a distinct point in time. They are often performed when properties are bought and sold, with their results having major impact on the purchase and finance of CRE properties. Although appraisals generate exact values, they may be calculated using 3 different methods that can result in 3 different figures. 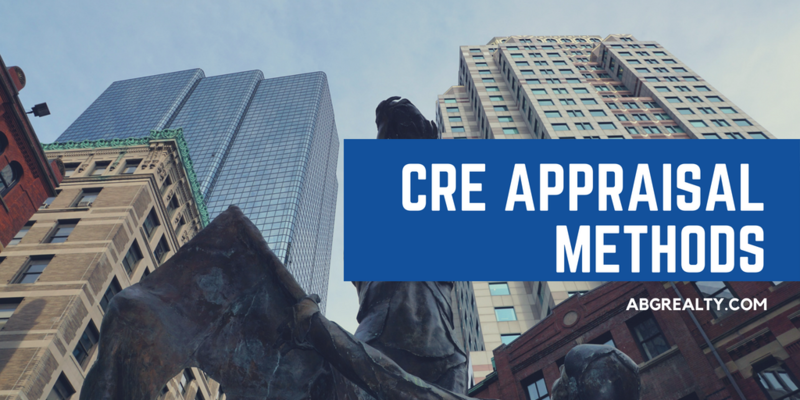 Here’s a summary of the 3 CRE property appraisal methods for Greater Boston. The sales comparison approach involves direct comparisons of the subject property with comparable recently sold properties within a certain geographic region. Ideally, comparable properties should be selected within the same neighborhood, but lack of options may require expansion of the search to within city limits. It can also be challenging to find properties with identical characteristics and features, thus appraisers select best possible matches and make adjustments for their differences. Adjustments are often made for the age, condition, amenities, size, location, features, sale date, and terms of sale. The adjusted price of comps is then used to determine the market price of the subject property. Another of the major CRE property appraisal methods for Greater Boston is the cost approach. This is particularly helpful when appraising newly built structures or those with major capital improvements. The value of the land and the buildings upon them are used to calculate appraised value. Depreciation is also factored in. Determining the cost to build a similar structures on a similar plot of land makes sense as investors often weigh the cost of building new versus buying pre-built. The income capitalization approach is useful for income producing properties in Boston, such as apartment buildings, office buildings, and commercial leasing complexes. It takes into consideration the expected net income of a property given gross income estimates and operating expenses. Potential vacancies (based on averages in the local market) are also considered. The ability of a property to generate future income is naturally a consideration for CRE investors, so the income capitalization approach is an extremely useful one in CRE appraisals. Now that you understand the three CRE property appraisal methods for Greater Boston, it begs the question, which figure is most valid when it comes to valuing CRE property investments? From a financing perspective, the sales comparison approach tends to be most important. To an investor, all 3 are equally informative in assessing the investment potential of a property.